Modern Outdoor Bars & Bar Furniture. Cool Modern Design & High Quality. Encompass Furniture offer a wide range of modern outdoor bars & bar furniture, from small bar tables and bar stools for a private garden through to large modular bar counters to cater for a thumping Ibiza night club – perfect residential & hospitality bar furniture! Our exclusive bar furniture and bar counters are designed by leading European designers for manufacturers including Royal Botania, Viteo, Vondom, FueraDentro, Coro, Cassecroute and others. 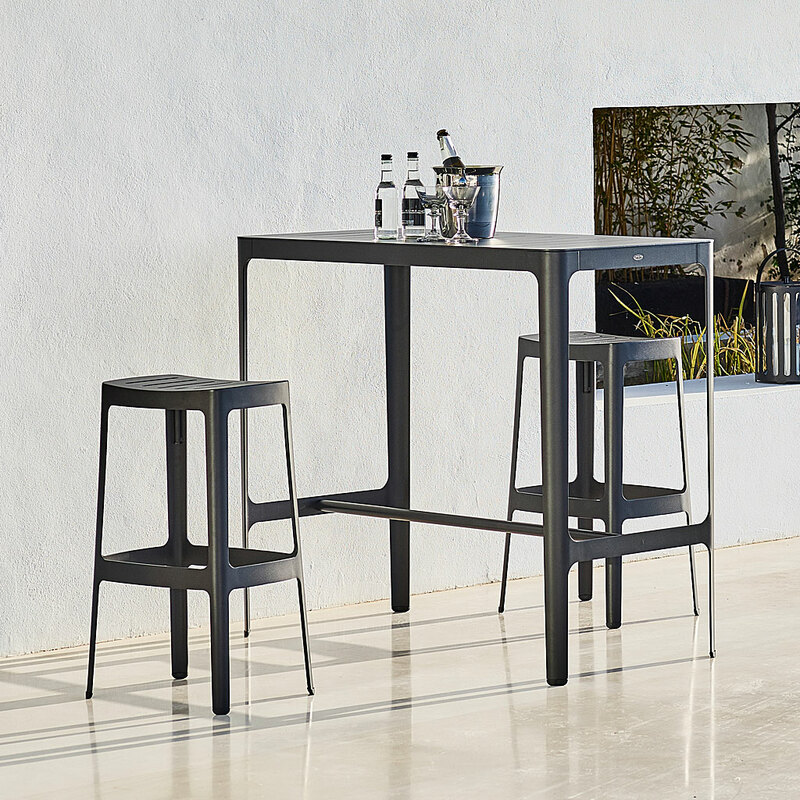 These exciting collections feature exciting modern design and are manufactured in highest quality materials, for a lifetime of convivial entertaining. All-weather materials include 304 & 316 stainless steel, premium teak, iroko, roto-moulded polyethylene resin and galvanised powder coated steel. The designer outdoor bars & bar furniture range includes the spectacular modern design Vondom Vela modular bar counters through to Royal Botania XQI teak bar furniture, with many more in between. Vondom modern contract bar furniture is available in a wide range of colour and lacquer finishes, and Vondom also optionally offer their modern bar furniture with LED lighting, which really brings the party to life after dusk.